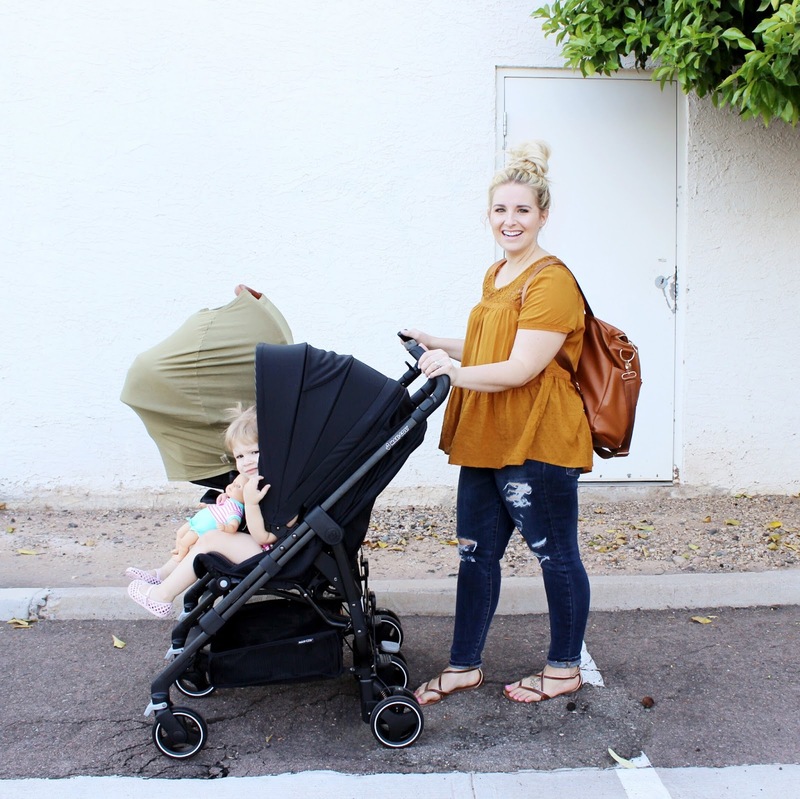 Can I just say a double stroller is quite literally a game changer. I didn't realize what I've been missing the last 4 months, you guys! 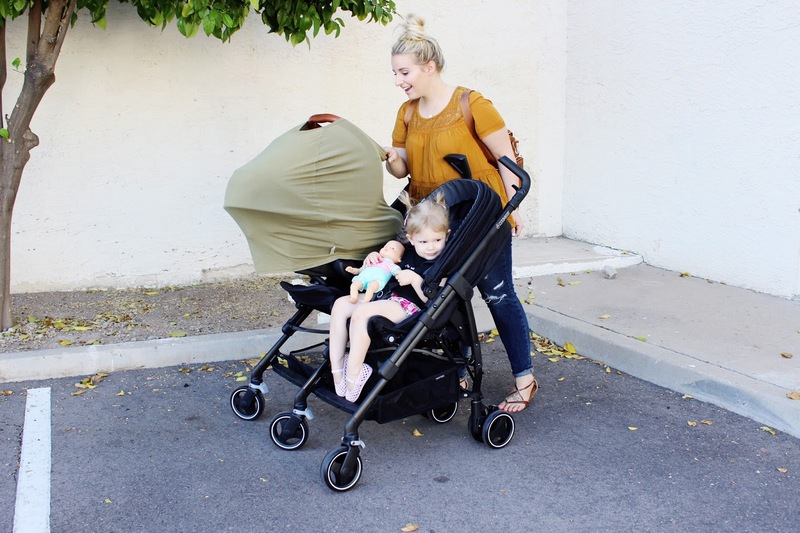 It's been on my wishlist to snag one so when Maxi-Cosi launched their newest stroller, the Dana for 2, it arrived quickly and we've used it every single day the last 2 weeks. Like every day. I was wanting something that wasn't huge and bulky because everything I found had reviews saying you could hardly shop or maneuver the beast while out based on size and I just wasn't going to invest in something knowing it would make me crazy and be a headache. The Dana for 2 is thin, light weight and so simple to open and close. The main thing I love about this is how it's adaptable to Hollyn still being so young. It comes with the adapters for the Maxi-Cosi car seat so I can click her in and use it as a travel system or I can recline the seat all the way back and she's good just buckled in. Second thing I'm obsessed with is the amount of space this baby offers in the basket. We carry lots of stuff. 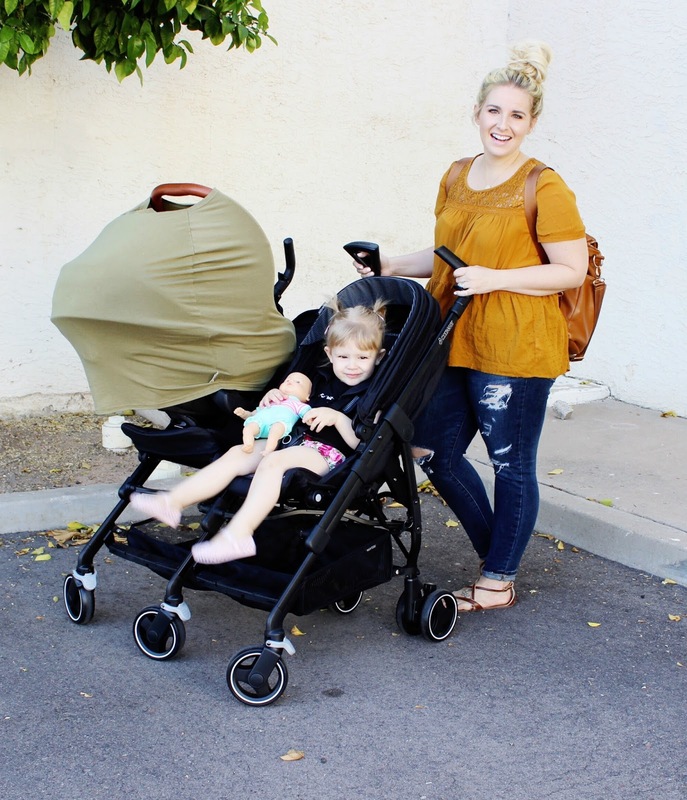 Baby dolls, Drake's water bottle, electronics, a diaper bag, blankets... etc. so having the ample storage below is a huge bonus for me! My last favorite feature is the cup holder! :) If you know me, you know I carry around a big tumbler of water everywhere I go. It's key to have a space to place that when out on walks and this offers it! I don't have it clicked on in these images but it goes on the right side by the handle. 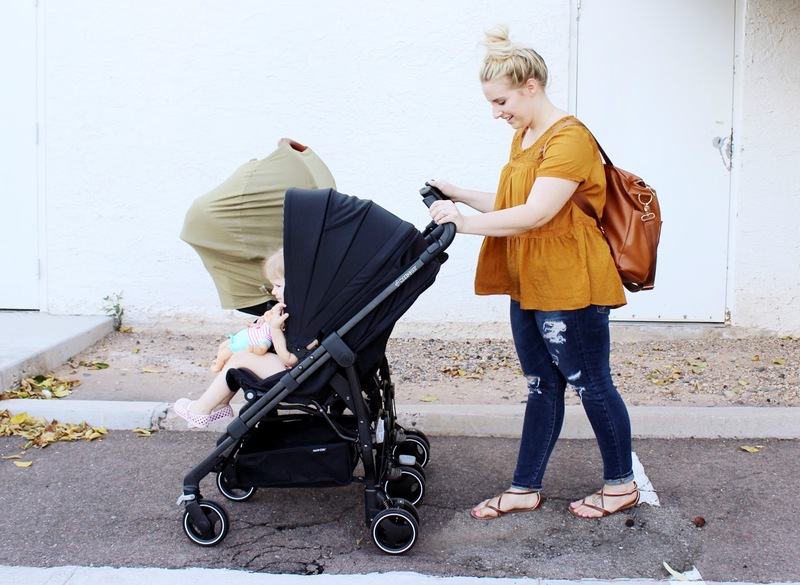 Do you have a double stroller? What's your favorite thing about it? 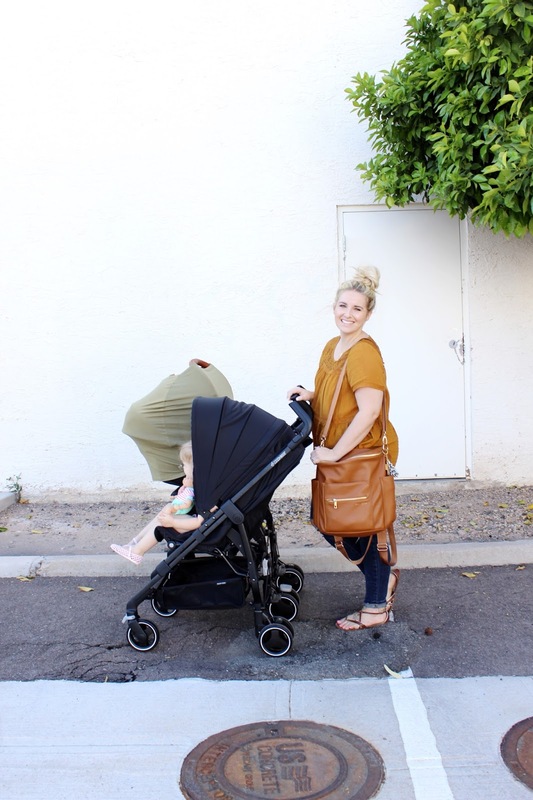 SHOP THE DANA FOR 2, HERE!